February means LOVE AMOUR AMOR. 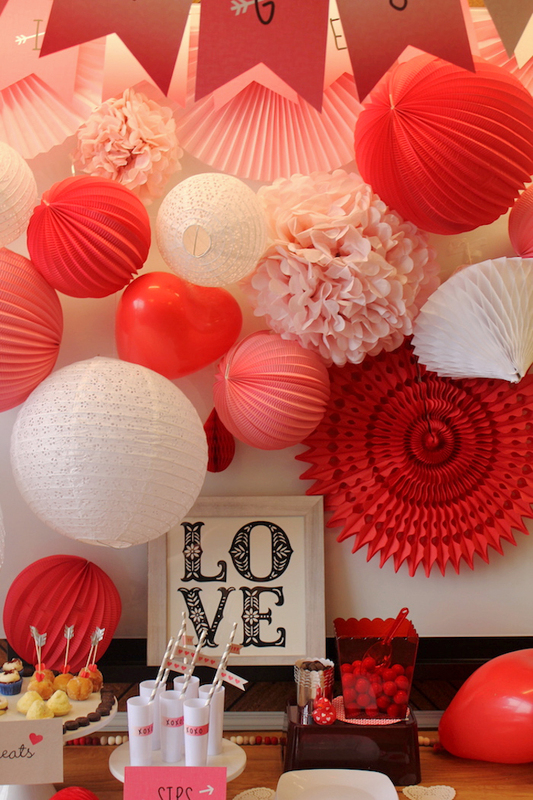 So we’ve created a very special Valentine’s decor using red and pink paper lanterns and pompoms to create a super pretty party wall. 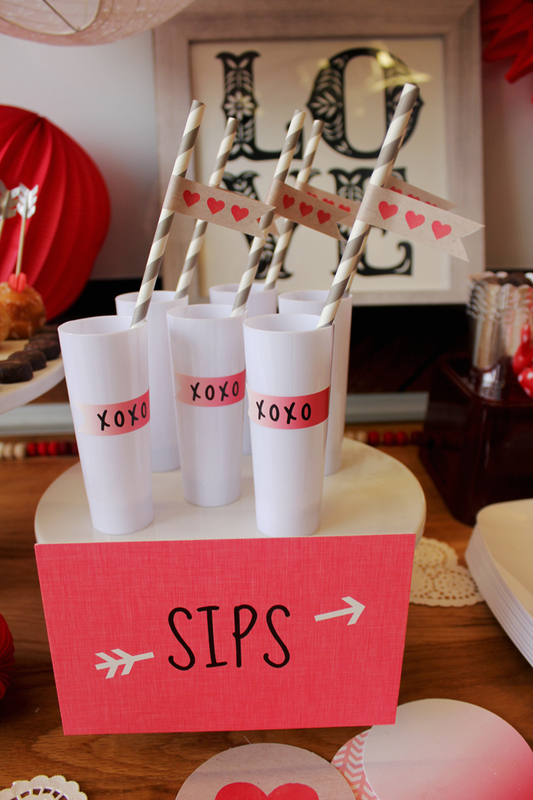 Very easy to design, it would also be great as a party backdrop or over a bridal or baby shower buffet. Pair this with a rose gold LOVE balloon and everybody will want to say “I love you!”. 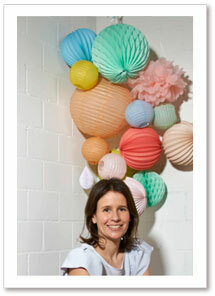 Shop all the paper lanterns for this wall on Under The Paper Lantern. – 1 piece of white cardboard size 30”x 43” – you can go for a smaller piece and adjust the number of lanterns accordingly. Tape each lantern and pom all around the frame, hiding as much white as possible. Then fill in the inside of the frame making sure lanterns and pompoms are really tightly arranged so that they cover the whole space. Ok, here’s some serious love declaration. 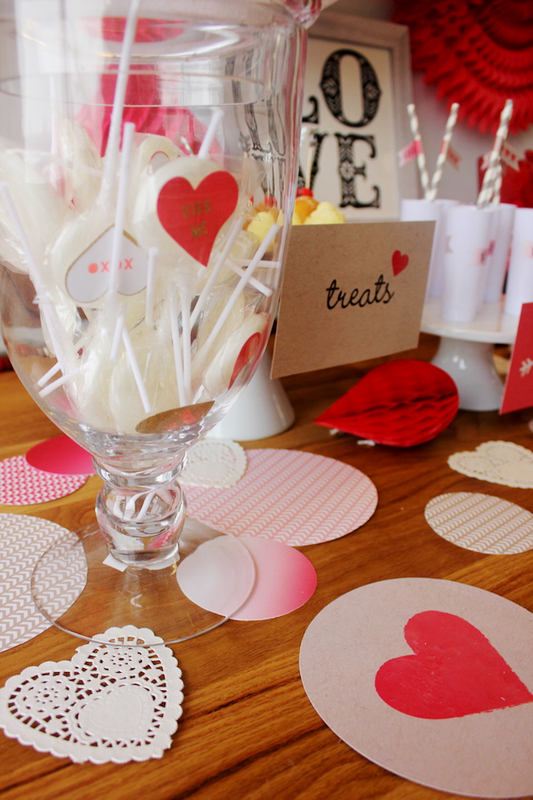 And it’s all made of sweet things and paper lanterns, so we have a soft spot for it. 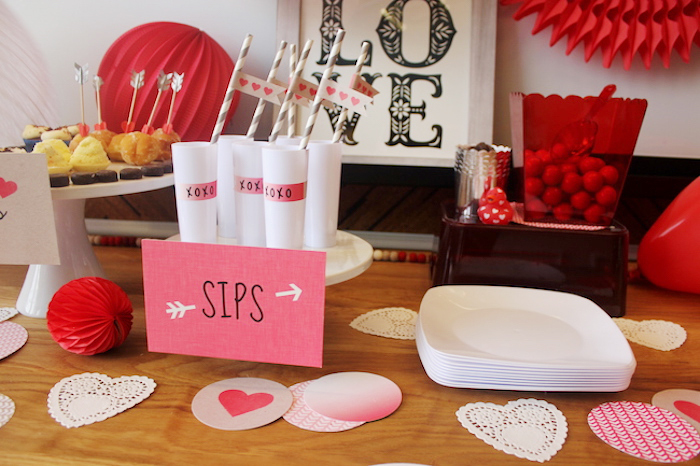 The great team of Mom Trends put up this gorgeous Valentine buffet decorations, with lots of cute details. 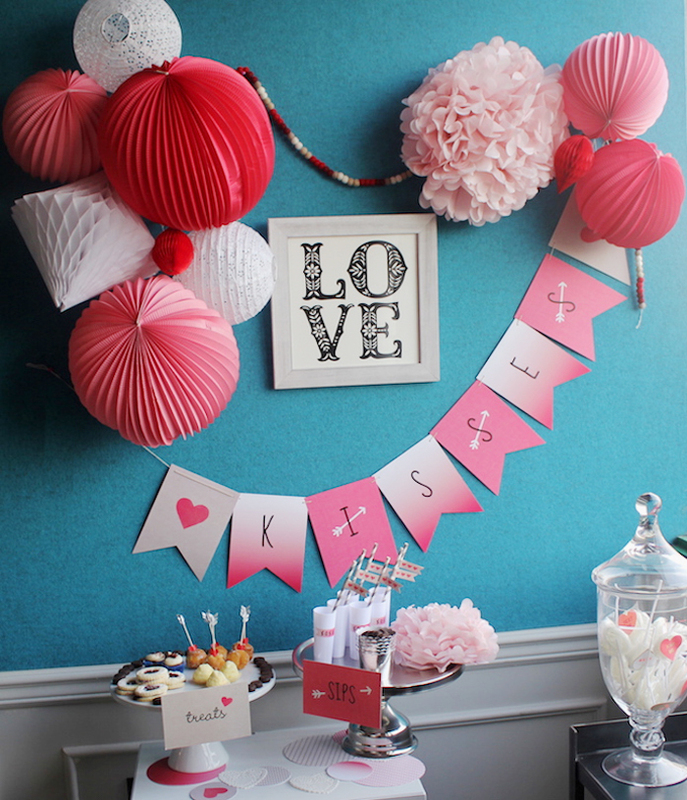 The red, white and pink paper lanterns, pompoms, honeycomb balls are just perfect, grouped together and hung on the wall. 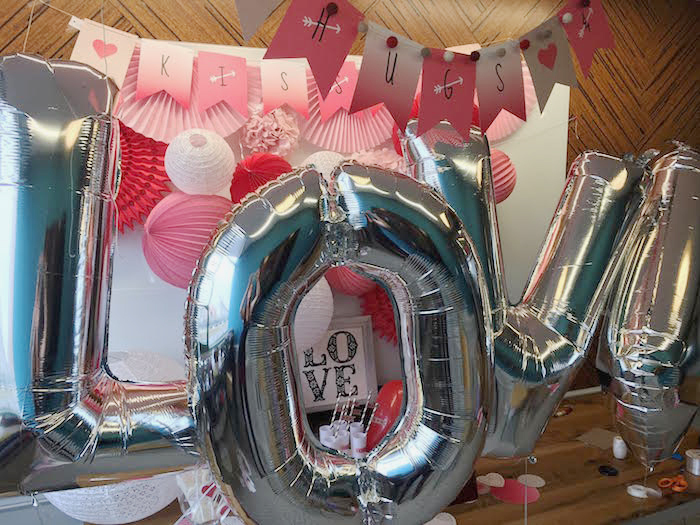 Our LOVE silver oversized balloons are the perfect final touch for this amazing decor. 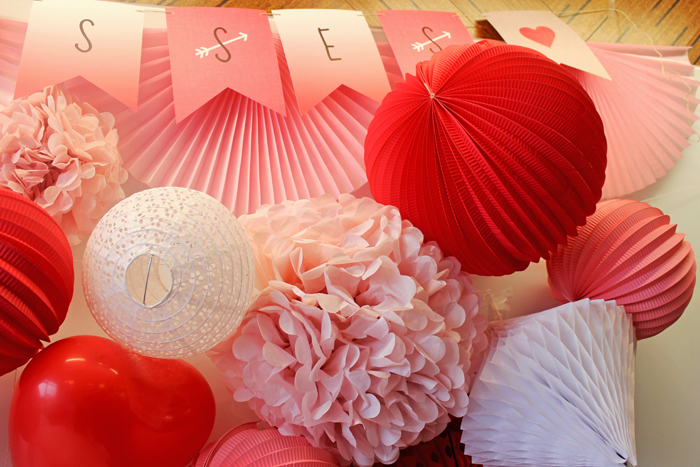 Copy and paste this decoration with love and you’ll make hearts beat faster, for SURE! There is a cute making of video on the Mom Trends blog, go check it out! This is the list of lanterns used for this decor.